There's only less than two month left until the end of 2016. This September was very warm and unusual. Now it is cold all the sudden. I feel as though I did a short time travel. However, it is a perfect time to go out and enjoy the outdoor in a comfortable climate. I especially enjoy taking a walk and visiting galleries and museums. In Japan, fall is considered to be a good season to see art. I even do that during lunch breaks and after work. You may wonder if Japanese workers have such time especially during lunch time but there are many in Marunouch area where my store is located. The area is known as a major business district but there are many such places actually. In this blog, I am will show you a nice route of museums in Marunouchi area so you can enjoy art when you visit Hi-Fi Do Marunouchi Shop. 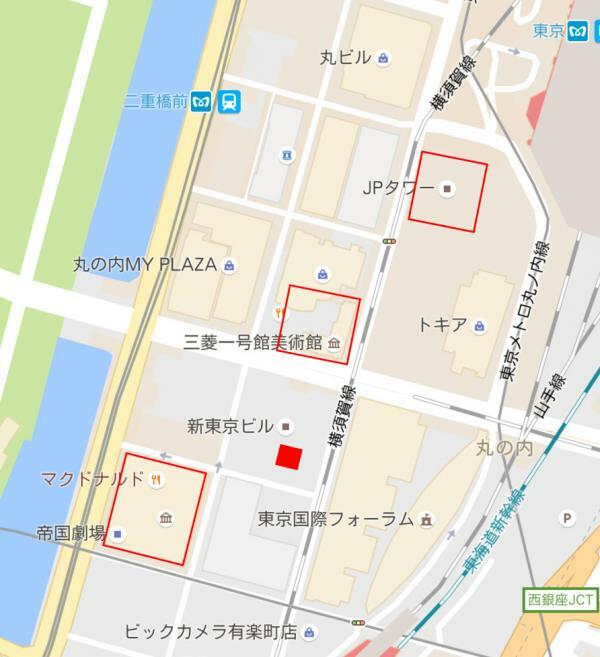 Please loot at the map of Marunouchi above. The square with red fill is Hi-Fi Do. The other red squares are the spots I am going to introduce. They are all one or two minutes away or less on foot! Let's start from Hibiya Station on Toei Mita Line. You can find the first museum as soon as you exit the metro. It is called Idemitsu Museum that is located right next to The Imperial Theatre. Go up to the 9th floor and you can see Japanese traditional works such as paintings, calligraphy, and craftwork. This building is diagonally opposite Shin Tokyo Building where Hi-Fi Do is! After the museum, walk straight along Nakadori St.
On the way you will see find a building next to Kokusai Bldg which Good Design Marunouch resides. We sometimes hold events to listen to records there. 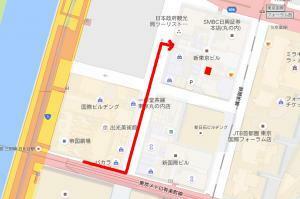 After crossing an intersection, you will find Shin Tokyo Bldg on your right hand! The entire way takes only one minutes! So close! Along Nakadori St, I saw a photo exhibition on construction walls. I saw another one inside the building on the way to Hi-Fi Do shop. I see a red photo... oops! Hi-Fi Do shop. Of course it is free of charge to enter Hi-Fi Do. The other day, I found one of the staffs was comparing record and CD of Norah Jones's new album. What a surprise, the record comes in a vivid orange! It is so cute that I want to display in my room as it is...! Such well-thought visual aspects make the experience more exciting and fun to me. After I left Hi-Fi Do, I headed toward Mitsubishi Ichigokan Museum. It takes only one minute to get there, which almost makes me want to walk a bit longer. The front is full of green. It is a perfect spot to have a lunch box. There is a cafe nearby conveniently. The museum was closed on the day I visited for installation but it is open now. We're giving away coupons for the tickets so please visit Hi-Fi Do before you go there! After Mitsubishi Ichigokan Museum, I walked toward north along the main street. You can see the exterior of the museum well from there. The building was built by an English architect Josiah Conder and was the first Mistubishi's western-style building in Marunouchi. There are some more famous architectures in the area so if you are into them it is a nice area to visit. Okay, let's go to the last location. Again, it takes only one minute or two to get there. From Hi-Fi Do, let's say three minutes. I kept waling towards north and turned right after crossing a street. The next destination is JP Tower, a complex that consists of shopping mall KITTE, post office, and so on. Believe me, there is a museum in this very commercial building. You will find it on the second floor. 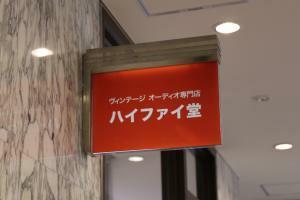 It is called Intermediatheque and co-founded and run by Japan Post and Tokyo University. It is pity that I cannot show you inside images since it is not allowed. The exhibits are pretty legit and include huge pieces such as frameworks and ores in various colors. I can easily spend hours in there. What is better, it is free to enter. I almost forgot I was in a complex. They even have both permanent and feature exhibitions which makes me want to visit from time to time. 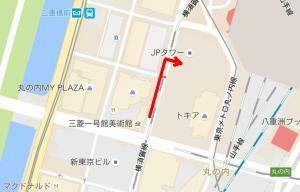 If you have enough strength, I recommend you to reach Nagata-cho and Takebashi area as well. There are a small science museum in Japanese Meteorological Agency and MOMAT (The National Museum of Modern Art, Tokyo). The science museum is good to go with kids too. As you can imagine MOMAT is one of the major museums and hold many feature exhibitions. 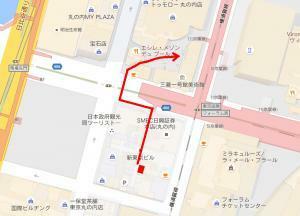 If you go backwards the route, you can also go to Ginza area. There are countless galleries there. You can also walk there from Hi-Fi Do so it would be good to go there after easing your mind with vintage audio. Most of museums have coin-operated lockers so you can visit after shopping as well. If you buy heavy things like amplifiers and speakers at Hi-Fi Do, we also have a delivery service so feel free to talk to your nearest staff of ours. I hope you enjoy art & music at Hi-Fi Do in Japanese autumn! Hi-Fi Do Record Shops Softs, Audio parts and Tubes can ship overseas.Ordinary,we use EMS but for large order,we use SAL or Surface.For Asia,it cost 1,200JPY/1LP,900JPY/1CD.Please check at the shipping cost table for more detail. Please send any messages or questions about this item.